For years I've run (often intermittently) a Thursday Hillary Bash, pointing out her floundering, her weaknesses, and her scandals etc. I haven't had the time to do so lately, but fear not Hillary-haters. 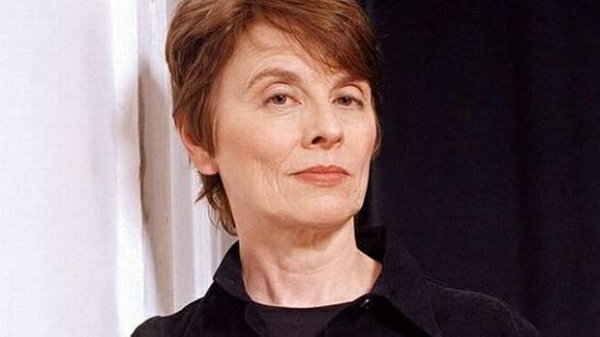 This week I've outsourced my Thursday Hillary Bash to Camille Paglia - noted feminist and most recently, Sanders supporter. Paglia has often written things that support conservative positions in her no-holds-barred opinion pieces. Despite apparently socialist tendencies apparent in her support of Bernie, she gets it right about Hillary, and in this case her blind supporters. What is it with the Hillary cult? As a lifelong Democrat who will be enthusiastically voting for Bernie Sanders in next week’s Pennsylvania primary, I have trouble understanding the fuzzy rosy filter through which Hillary fans see their champion. So much must be overlooked or discounted—from Hillary’s compulsive money-lust and her brazen indifference to normal rules to her conspiratorial use of shadowy surrogates and her sociopathic shape-shifting in policy positions for momentary expedience. Hillary’s breathtaking lack of concrete achievements or even minimal initiatives over her long public career doesn’t faze her admirers a whit. They have a religious conviction of her essential goodness and blame her blank track record on diabolical sexist obstructionists. When at last week’s debate Hillary crassly blamed President Obama for the disastrous Libyan incursion that she had pushed him into, her acolytes hardly noticed. They don’t give a damn about international affairs—all that matters is transgender bathrooms and instant access to abortion. Well put. Holding a mirror up to many Democratic voters must be more effective when it comes from Paglia than it does from the likes of me (an unknown conservative with a keen grasp of the obvious). It's heartening to see that Paglia has not swallowed the Clinton Kool Aid. And what happens to Paglia's choice if as expected, Clinton wins the nomination? It might not be as obvious of a Jonestown moment as you might expect. And just maybe, that anti-Trump women's voting block won't be so single-mindedly monolithic as to inevitably crush a Trump candidacy in the general election come November.